Cub Scouting means "doing." You will have lots to do as a Cub Scout in Pack 651—crafts, games, sports, songs, stories, puzzles, hiking, camping and much more! A lot of the fun happens right in the den and pack. Everything boys do in Cub Scouting has a purpose. Apart from the fun and excitement, the aim of Cub Scouting is to help boys grow into good citizens who are strong in character and personally fit. This is why we say that Cub Scouting is fun with a purpose. The den, a group of Cub Scouts in your age and grade level, usually meets 2-3 times a month. This includes den meetings and field trips (hiking, "go see its", etc). The Pack, all of the Cub Scouts from first to fifth grade, meets year round, once a month from September to May in the school and during the summer at special activities. Pack 651 generally meets on the 3rd Tuesday of the month. The Pack meeting is where we acknowledge the accomplishments of our scouts from all the different dens. We try to have guest speakers and activities lines up for all the pack meetings. At both the den meetings and the pack meetings, Cub Scouts do different things for fun and learning. While you're having fun, you'll also be earning badges and awards. You'll work on projects with your parents or other adults in your family, and all of you will feel good about the things you accomplish. When you have earned a badge, you and an adult member of your family take part in a ceremony. The badge is given to the adult, and he or she then gives it to you in front of the whole pack. This is a way of saying "thank you" to your family for their help in earning your award. Cub Scouts in Pack 651 have a lot to choose from. Traditional annual events include Pack Camping in June, a Holiday party in December, the Pinewood Derby and the Blue and Gold banquet in February, campfire in April and our bridging event in May. And this is just a partial list. We also do our summer Day Camp and Resident Camp to keep scouting going all year long. Other adventures we have done include, ice skating trips, watching the Frederick Keys, sleeping on a submarine, etc. The fun just never stops. We practice citizenship by taking part in community events, marching in parades, volunteering with community projects, conservation projects, and helping out when asked or when a special need arises. These events include our Scouting for Food Drive, collecting toys for Toys for Tots and participating in flag ceremonies in the community. We also visit a senior citizens retirement apartment complex to play games. And being chartered by the Lions Club of Carroll Manor/Buckeystown also means that we help them out when ever the need arises, like helping out at their annual summer dinner. Bottom line, we teach the scouts what it means to support and give back to our local community. Cub Scouts do all sorts of exciting stuff! Whatever it is that you enjoy, you'll probably have a chance to do it in Cub Scouting. Do you want to join our Pack? Each year when school starts, we provide information about how to join Pack 651 at the CMES back to school night, community posters and yard signs around Adamstown. The pack is open to all that wish to join. We then have a follow up Join Scouting Night a few weeks later. We have another recruitment effort in the spring usually before school is out. Boys can join any time during the year, not just in the fall or spring. You can also contact our pack representative using the "Contact our Pack" link at the top of the page. But we do have one requirement for joining the pack....you have to want to have FUN!!!!! Sound like you?? We hope so. Below are some frequently asked questions about our pack. The membership fee for new Cub Scouts is $24 (national registration) payable when you register. This is for a full year and is prorated if you join during the calendar year. In addition, we encourage our scouts to order Boy's Life magazine as well which is $12 for the year, $1 per issue. There are some great articles in this magazine. Pack dues for the 2015/2016 year are currently $90 to help offset the costs of the program we provide. Dues are collected by November each year. Items that are covered by this fee are the Pinewood Derby car and facilty rental, Blue and Gold, Class B uniform, awards and patches, and more. For a 12 month program, I think you will agree that is pretty reasonable...compared to the cost of most sports that last 3 months. Cub Scouts participate in a popcorn sale fundraising event in October. Local scouting keeps 70% of all popcorn sales. 35% goes to the council and our pack keeps the other 35%. We are always open to more ideas for fundraising! Tiger Cubs, Wolf Cubs, and Bear Cubs must wear the official uniform blue shirt, neckerchief and slide and Hat. Webelos have the option to wear the khaki uniform shirt as well as the normal blue uniform shirt. The Webelos neckerchief, slide and hat are worn with either uniform. Socks and belts are optional (but there are belt loop awards, so the belt is very handy). Navy blue pants, shorts or jeans (the scout is not required to purchase official scouting pants). When the scout registers, he will also receive a complimentary class "B" uniform - a Pack 651 t-shirt. This may be worn during Den meetings and "dirty" community service, such as painting or planting. Boys and parents can also wear the Pack t-shirts to council and other camping events. Keep in mind, though, that you will need to bring the official uniform for flag raising and lowering ceremonies. Parents may purchase a Pack t-shirt for approximately $12. What other costs are there if I join the Pack? There may be some events during the year that require the scout to pay an event fee. This depends on the activities planned for the pack and fund raiser results. For instance, the pack typically pays for the entire Pinewood Derby and does not require the scout to pay any fees. But pack camping requires the scouts to pay for the camp site fees and food. A pack is a group of Cub Scouts, adult leaders and parents who belong to the same Cub Scout unit (e.g., Pack 651, Appalachian District, National Capital Area Council, Boy Scouts of America). A pack generally draws its membership primarily from an elementary school, church or community that is associated with the pack's Chartered Organization and Community. We are associated with Carroll Manor Elementary School. Each pack is made up of one or more (each) Tiger Cub (grade 1), Wolf (grade 2), Bear (grade 3), Webelos (grade 4) and Arrow of Light (grade 5) dens. What is a Chartered Organization? A Chartered Organization is the sponsoring organization for a Cub Scout pack, usually a church, PTA, homeowners' association or other community group. The primary responsibilities of the Chartered Organization are to select the leadership of the pack and provide a meeting place. Each year, the pack must renew its Charter with its local council. The Chartered Organization must approve the rechartering application in order for the Charter to be renewed. Pack 651 is chartered to the Lions Club of Carroll Manor/Buckeystown. A den is a small group of boys (ideally 6-8) of the same grade level. Each den meets on a weekly or bi-weekly basis to work on achievements and other activities. The den is led by adult Den Leaders and Assistant Den Leaders, who are responsible for planning and conducting each den meeting. Where are Pack Meetings Held? Pack meetings are generally held monthly on the third Tuesday of the month at 7 p.m. from September through May. Pack 651 meets at Carroll Manor Elementary School in the Cafeteria and when the weather allows, we meet at an outdoor facility. The Pack Calendar provides exact dates, places and times of all pack meetings. You must be a registered member to view this calendar. The pack is run entirely by unpaid volunteers. We are always looking for people who would like to help out, and have large and small jobs for every family. Ideally, each family would have a job, which is what we are working towards in Pack 651. The Pack Committee, which currently consists of the Committee Chairman, Cubmaster, Assistant Cubmasters, Secretary and the Treasurer, develops budgets, approves expenses, arranges for facilities and conducts overall planning. The Den Leaders and Assistant Den Leaders are most directly involved with the Cub Scouts. Dens generally meet weekly or bi-weekly, a Den Leaders meeting is held monthly or bi-monthly (in conjunction with the Committee Meeting) to discuss issues of common concern. 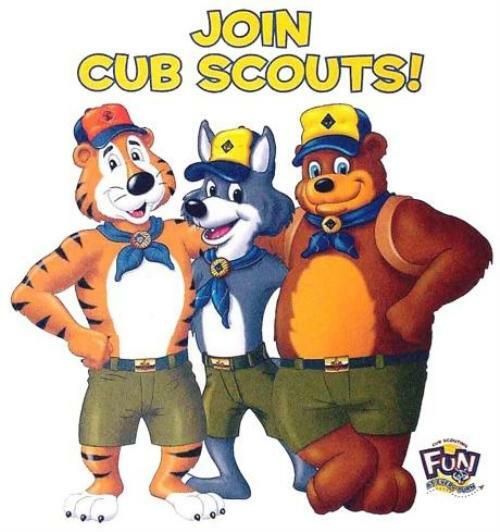 An adult member of each Cub Scout household (not including Tiger Cubs) is expected to participate in a volunteer position or serve on a committee. In addition to Pack Committee and Den Leader positions, Pack 651 generally tries to fill several volunteer positions (e.g., Membership Chairman, Advancement Chairman) and have several committees (e.g., Blue and Gold Banquet, Pinewood Derby, Popcorn Fund Raiser, Camping Coordinator, Day/Resident Camp Coordinator and Scouting for Food). Lend your skills and make our Pack more fun for the Scouts! Contact our Cubmaster or Committee Chairman for more information. You can also email a representative from the pack by clicking the "Contact Our Pack" link at the top of the page.